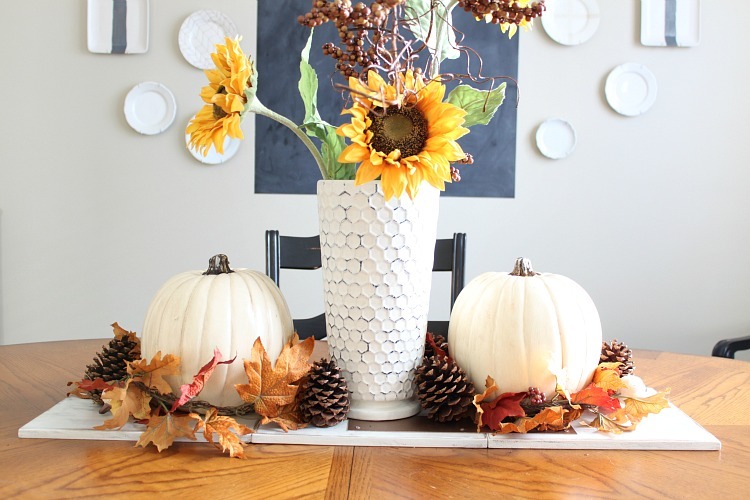 25 DIY Craft Tutorials for Fall, Y'all! While it's still in the upper 90s in the hot South, it doesn't stop me from dreaming of cooler weather, hoodies and nighttime football games. Unfortunately, I've been too busy melting away in the heat to prep a new "Fall" themed project for you guys. Fortunately, I still have an awesome, DIY pumpkin project that I did last year and a network of awesome, super, crafty friends that have many projects to share with you, so let's roll! I know what you're thinking. Paper Mache??! No way I can sculpt a paper mache pumpkin. 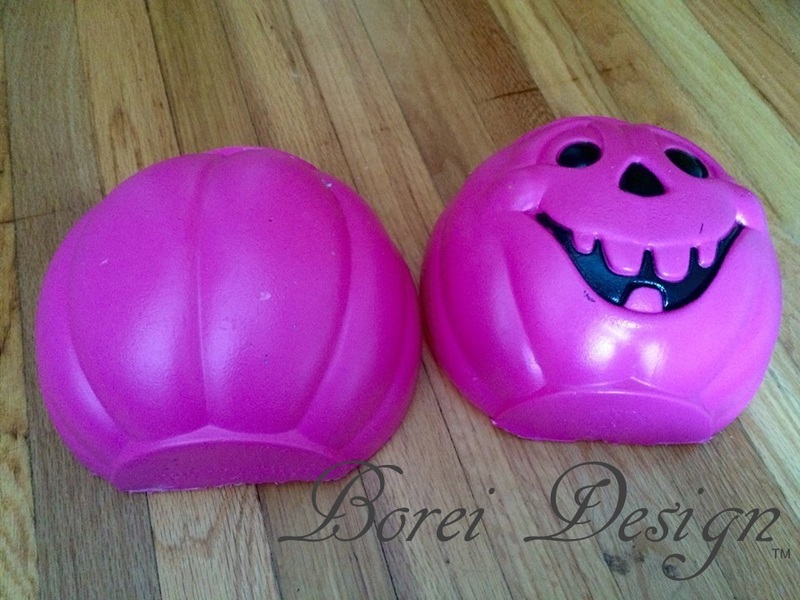 Oh yes you can, when you cheat and recycle an old, plastic, Halloween candy bucket to use for a mold! A super cute scrap stash buster. A sign after my own "southern" heart. I'm absolutely IN LOVE with this upcycle! It cost this blogger less than $10 to make! 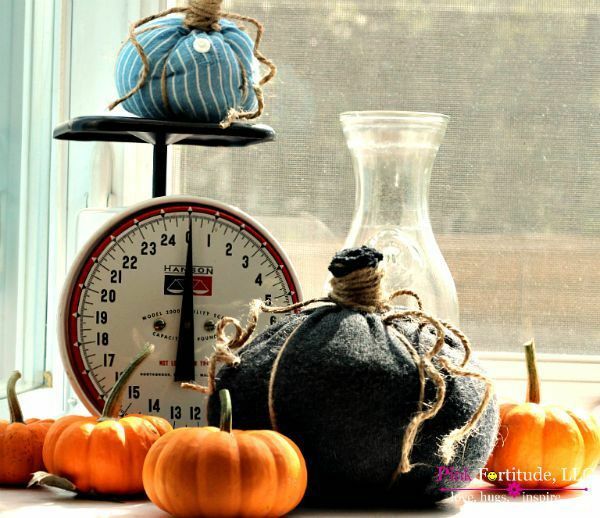 Bring the scent of Fall to your home with this DIY. 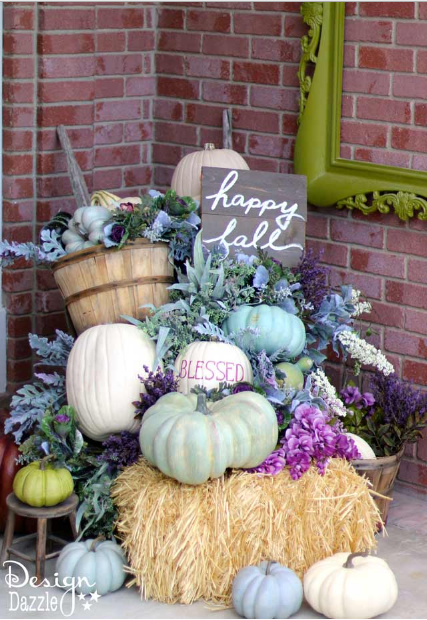 Lots of great decorating ideas for your porch in this post. 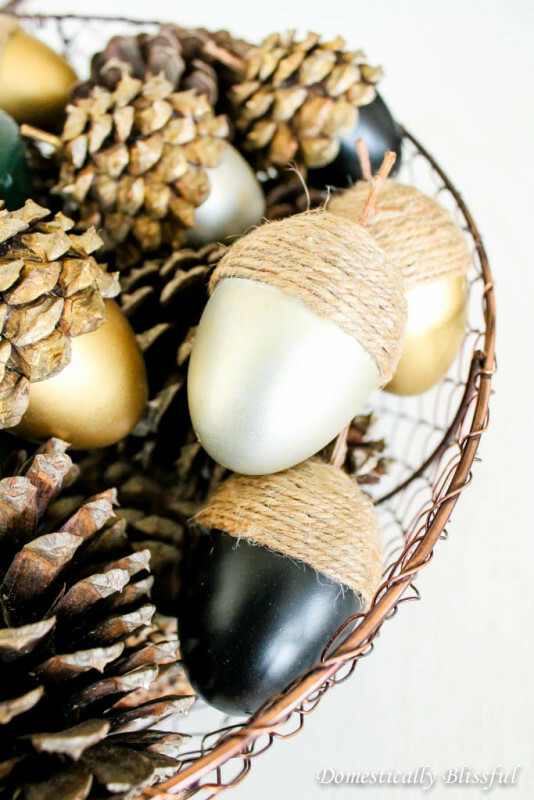 A very simple but elegant wreath. I absolutely love how this blogger used a glass mug as the container. This blogger also upcycled a candy bucket into a super cute planter. 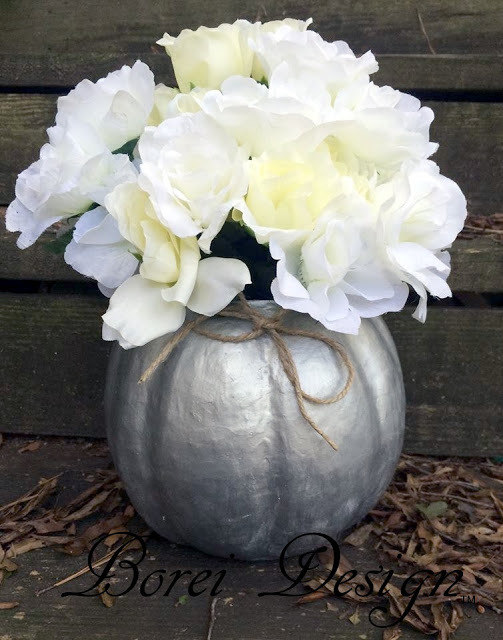 A gorgeous center piece idea for a Fall table. Beautiful use of a small space. A great way to upcycle fabric napkins. Wow! This involves rolling paper into real acorn caps! DIY pumpkins from stacked pallet wood scraps. A cute upcycled can project. Adorable rustic, farm style sign craft. Yes!!! Another blogger named Holly, that likes to upcycle. What's not to love? 22. The Magic Brush Inc.Com: Fall Pallet with Always Give Thanks. A beautiful, stenciled upcycled pallet sign for your yard or home. Such a cute idea to welcome guests with "friendly" fruit and could also be a great incentive to get youngsters to eat more fruit. A super cute toilet tissue roll upcycle that your children are sure to enjoy. 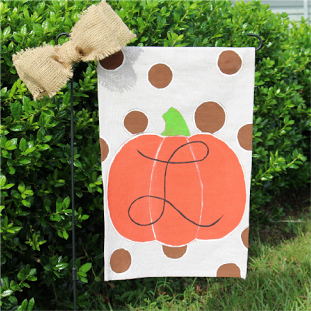 Hope this post has inspired you to get crafty and Happy Fall, y'all! Thank you for including my rustic glam fall wreath! We are DEFINITELY the coolest club around! lol Thanks so much for sharing your project with me and big hugs to you. You are so welcomine and thanks for sharing your project with me. 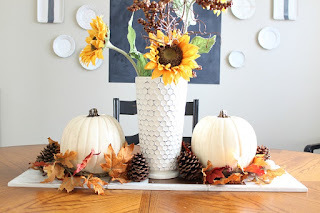 It's a really cute idea to put out for guests at Thanksgiving! Thanks for all the fall inspiration! A lot of these look simple enough even for the craft-challenged like me :) It's finally starting to cool down here so I'm going to have to pick one of these and get to work so it can really feel like fall around here! Fabulous collection! Thanx so much for including our Grapevine Wreath! Thank you Holly. What a lovely and inspirational round up! 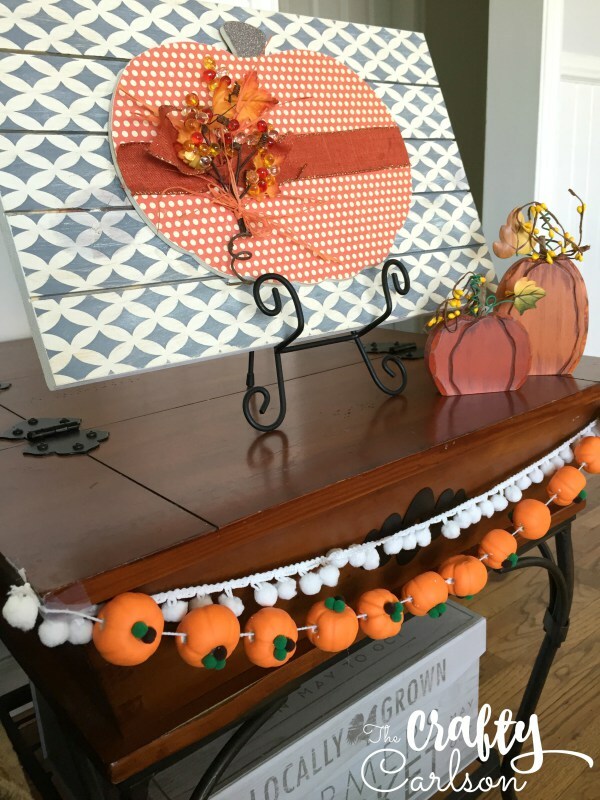 Thank you Holly for including my Fabric Scraps Pumpkins in this roundup. Much appreciated! These are all awesome, Holly! Thanks for rounding them up! Thank you so much for including the "Happy Fall Y'All" sign. 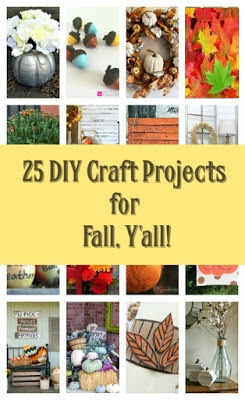 What wonderful projects there are to do for fall. Love it! Thank you for sharing all thesewonderful ideas! They will certainly help me stay busy--not to mention, make the house more festive!